With the PokerStars European Poker Tour London tournament series now officially in the books, the poker world will set its sights on the next major tournament series; the World Series of Poker Europe, taking place in Cannes, France from October 7-21, 2011. The WSOPE will feature seven bracelet events as well as the non bracelet Ladies Championship, and the Invitational Caesar’s Cup which will pit a hand-selected team of North American poker pros against the best Europe has to offer. 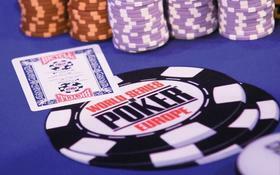 In addition to the new locale, another first for the World Series of Poker Europe is that the tournaments will count towards the World Series of poker player of the Year race, which guarantees players like Phil Hellmuth, Ben Lamb and Chris Moorman will be very active –there is still time to contact your favorite sportsbook for odds on who will win!. Another player that will be in attendance is Doyle Brunson. Brunson rarely travels to Europe these days, but was in London for the EPT London main Event (his first ever EPT tournament) and was picked by Phil Hellmuth for team America in the Caesars Cup. This entry was posted on Friday, October 7th, 2011 at 11:17 am and is filed under Poker News. You can follow any responses to this entry through the RSS 2.0 feed. You can leave a response, or trackback from your own site.